Slimline 'Z' fold paper towels cut in half to suit small (childrens) hands. 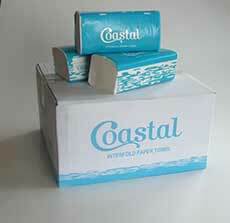 Coastal half size slimfold paper towels. Half wipes paper towels - N fold. Dot embossed. 1ply. 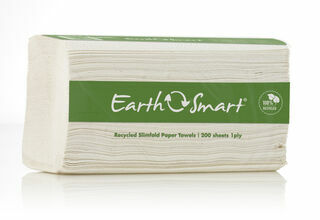 Enviro Tissue 100% recycled. Slimfold Half Wipe - mixed grade paper.